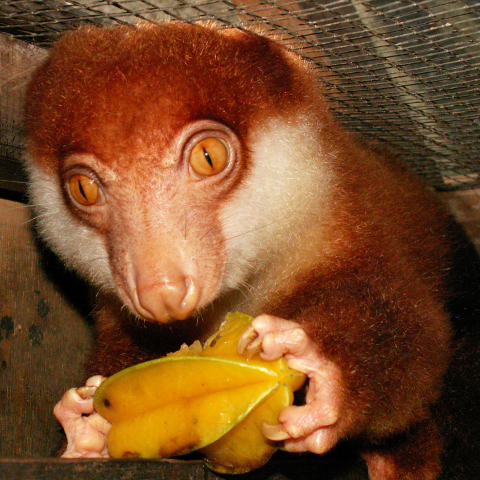 This species is listed in CITES Appendix I, and listed on Appendix 1B of Decree 32 (2006) in Viet Nam. 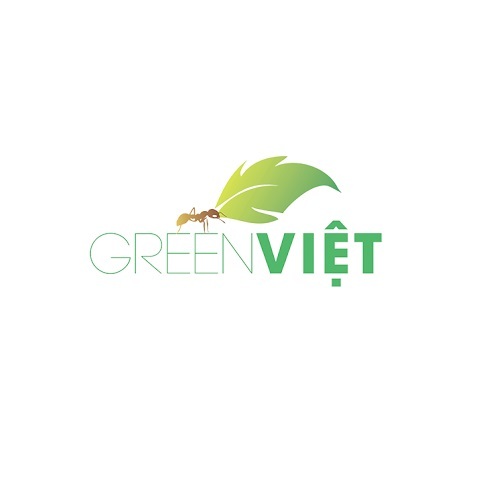 The species occurs in several protected areas in Viet Nam, especially Song Thanh, Ngoc Linh, Kon Kai Kinh, and Kon Cha Rang; however, protection against hunting and habitat disturbance is not completely enforced (Ha Thanh Long 2004). 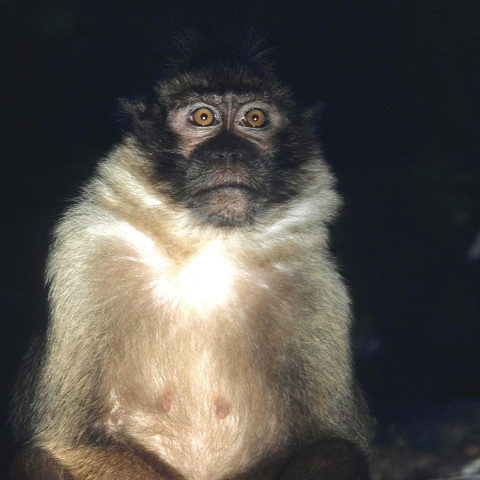 A long-term study in Gia Lai Province included in the "Viet Nam Primate Conservation Program" of the Frankfurt Zoological Society is currently in place (Ha Thanh Long 2004), and additional surveys in the distribution area are also included in the program, which may perhaps identify new populations. There is an ongoing captive-breeding program for this species at the Endangered Primate Rescue Center at Cuc Phuong National Park in Viet Nam, which also incorporates an education component. This species occurs in central Viet Nam, in Quang Nam, Quang Ngai, Binh Dinh, Kon Tum, and Gia Lai provinces (Nadler et al. 2003; Ha Thang Long 2004). The total population for this species is estimated at 550 to 700 individuals, but some areas with assumed occurrence are not yet surveyed (Ha Thang Long 2004). The Viet Namese Central Highland forests where these animals occur lose almost 10,000 ha of forest annually due to logging and agricultural conversion. This creates a progressively more fragmented habitat and population structure. Additionally, they are hunted for food, traditional "medicine" (for example it is used in the preparation of "monkey balm"), and for sale as pets (Ha Thanh Long 2004). Their behavioural responses to hunting, hiding motionless in the canopy rather than fleeing, make them more vulnerable (Nadler et al. 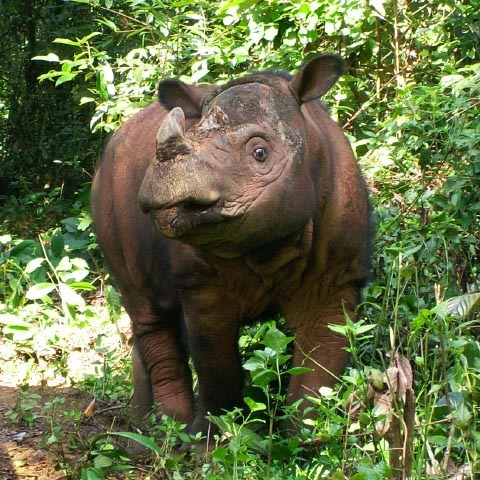 2003); they also become susceptible to snaring when they come to the ground to move in degraded habitats.